Paradise is an interesting concept. Not so much a place as a state of mind. If I ever found it I don’t think I’d be as careless as Milton! So today seems like a good day to start a new blog. It started with me feeling like crap and having to get up at 4.40am – but with good cause. We hit the road at 5.15 for Liverpool airport, which is almost like a real airport, and a 2 hour flight to Nice. Parking in the multi storey has become an essential rather than a luxury – as has a fast track through security. I selected extra legroom seats – and these came with free Speedy Boarding access (wow – thanks Easyjet). Sadly, Speedy Boarding only applied to the bus to take you to the plane, and not onto the plane itself! And here’s an odd thing. We sat on row 1. Right at the front. And by the time we got off my feet were freezing. Now, I’m sure there can’t be a gap under the door – but it was definitely cold. I flicked through the magazine. Some guy is making a fortune on Youtube – just by being himself. Ole and Zac may have a new career when I get back. Anyway, we landed in Nice, and then the fun started! 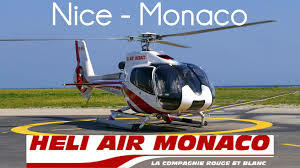 A quick transfer to Heliair Monaco and we soared above the southern French coastline for all of 7 minutes before the chopper landed in Monte Carlo. We were supposed to be on the 12.15 copter ride but we were early and got on the 11.45. No hassle – and though we had a bottle of champagne in hand luggage the Heliair people just took the hand luggage and put it in the back. Free shuttle to Hermitage hotel, and by 12.30 we were checked in to a very nice room in a fabulous atmospheric hotel. Not the most personable – it’s too big for that. But definitely grandiose. Anyway, we were accompanied to our room by a young girl (the hotel seemed keen on employing young French girls, but more of that later), and she explained that the mini bar was “automatique”, meaning that if you touched anything you were charged for it. This next bit is very important if you intend to read much more of this blog – as it shows something of the character of my wife. She was intent on putting the bottle of Piper Heidsieck champagne in there to chill – but clearly could not. Without batting an eyelid she said ‘Could you remove everything so that there is enough room for my husband’s insulin? Its his medicine.’ The girl said she would get housekeeping to make enough space, and we thought we had hatched a cunning plan. I was a little concerned that my wife would confer a diabetic condition on me so easily, (has she never read a Stephen King novel?) but there was no more time to waste. We didn’t have long, less than 24 hours, but Monte Carlo is not that big. We wandered past Porsches and Ferraris and settled for a front row table at Cafe de Paris. It was great fun people watching, drinking coffee, mojitos and beer, then back to the hotel for a pedicure at the attached Thermes Marins spa. This was a very complicated place to get in and around, and it was a bit of a surprise when another young French girl accompanied me into the men’s changing room to explain the lockers, as most other occupants of that overcrowded room were happily naked men. My wife enjoyed the pedicure whilst I soaked up some rays on the deck overlooking the harbour. The pedicurist was very brave, advising her how much better she would look with botox, acid and some medieval ‘threading’ procedure on her neck. She also advised the use of factor 50 suncream, and I suspect that will be ignored too. Lunch had been light, and I was now hungry, so we stopped off at the hotel’s quaint Lemon bar for a very expensive panini. I have to say that the rumours of how expensive Monaco is are all true – but then again the Caffe Ritazza at Liverpool Airport should have given away their coffee as it was not really fit to be sold, and the Piper Heidsieck champagne, although reduced to twenty quid in duty free, was not really fit to drink, especially warm as the cunning plan failed quite comically. You have to pay for quality. Anyway, back to the cunning plan. We got back to the room and opened the fridge. True to her word, the French maid had moved just enough expensive mini bar bottles to fit in a small bottle of Calpol, not a 70cl bottle of champers. My psychosomatic diabetes would have to go untreated, whilst my wife filled the sink with the coldest water she could get out of the tap. Ultimately it failed, and most of the plonk got poured down the sink. We headed for the exclusive Casino Monte Carlo that was not as exclusive as it probably once was. The dress code was very relaxed, and the roulette was very expensive. 5 Euro minimum bet, but it was popular and the one open table was fully occupied. Sally played and won and lost on some very complex fruit machines, and occasionally she was not really sure whether she had won, lost or simply hit the wrong button and cashed out. Dinner seemed a reasonable price in the fine old casino, but there was a reason for that too. Steak that would not even be served as such in England, and a mountain of lettuce leaves. Shocking really, but we were hungry! We called in to the other casino around the square, but this was just a collection of slot machines, so it was time for bed. The next day there was talk of an air traffic controller strike (the French just love their ATC strikes), so I checked the internet and found that our flight was ok, unlike over 100 others that had been cancelled, but it was delayed by two hours due to an issue with a previous flight. No worries – but both of our phones were low on battery so we hastily sent messages to say we would be back by 5pm rather than 3. We got a very nice limo transfer back to the heliport, then Heliar once again whisked us across the Med and back to the airport. Nice airport actually looks quite good from the check in area, with cafes and restaurants all around. However, we are British and have bad experiences with security – so we rushed straight through. If you are in this situation – just don’t! Once inside, all that was available was a Costa Coffee and a newsagent, or the option to head through passport control into the gate B section where our flight would be leaving from. A slice of apple tart staved off hunger, then we proceeded through passport control. The bar there was little more than a cafe, and it didn’t look too well prepared for a day that was about to get a whole lot worse (though quite predictably so). Time passed, and we were called forward for boarding, then a strange thing happened. Boarding stopped and an announcement was made, informing us that there was now a significant delay due to the air traffic control strike. We groaned and one by one passengers pleaded at the desk for more information. The Easyjet pilot, Mark Richardson, actually came to the desk, took over the mic, and explained that he had no more information and he would come back in an hour and say more. That quelled the crowd, and we headed back to the bar area. There was an internet station where we tried to charge our phones, but to no avail, and we were just about to buy a charger from a tiny duty free shop when a very nice Welsh lady offered the use of hers. My wife could be described as ‘chatty’, and so she learnt all about the merits of whisky from this lady who apparently worked in the Welsh whisky industry. Whilst this was going on I paid 5 Euros for half an hour of internet, and told all who needed to know of our predicament. This took a lot longer than expected, due to the nuances of a French keyboard. In particular, the m, a, z and w are in different places, and when you already use a standard keyboard a lot, this drives you nuts. For instance, the q and a have been transposed. My fingers know where ‘a’ is instinctively. They certainly don’t expect to find a ‘q’ there. And to move ‘m’ from its rightful place beside ‘n’ is just irritating. I would have posted on Linkedin, but it would have taken ages, so I contented myself in reading the increasingly aggressive responses on a particular thread. I always find that if a thread generates more than about ten responses, the tone and relevancy of those responses generally degenerates! I did get a message on LinkedIn – from an agent that has now set up his own agency. ‘Not been in touch for ages – give me a call’. No I haven’t been in touch, but then neither have you. But now you want something. Funny that, isn’t it? More news from the desk – they were now giving out vouchers for food. Unfortunately the bar had long since sold out! The pilot returned with no more news but the promise of another hourly update, and then my wife and the Welsh woman negotiated their way back through passport control to Costa where the paninis were going fast. Actually, it was my wife who did the negotiating. The Welsh woman just meekly followed, as people are wont to do when my wife gets involved. So, they then returned through passport control without passports (I was safeguarding them – they only had to ask) but with hot paninis to the envy of other passengers. The next announcement was more promising – we would be boarding at 5 and leaving at 5.30, and the mood cheered. When the time came we flew through the boarding process but had an agonising 20 minute wait before finally pulling back and taking off. A six hour delay could have been a whole lot worse, and a big thanks to the pilot for keeping us informed. Not so the Easyjet stewardesses who refused to allow us to spend our vouchers on board, despite their own documentation clearly stating that this is acceptable. I feel a letter coming on…. I read a lot of Stephen King books, and on this occasion I was reading his short story collection ‘Everything’s Eventual’. Now, I should explain that I read EVERYTHING. The prologue, the epilogue, etc. I don’t want to miss the fright of my life or the swish of a switchblade. Well, after every story in this collection there’s a little passage from King explaining why he wrote this particular story. It’s a bit too much, and frankly a bit arrogant. It’s a bit like the makers of The Simpson’s writing a book describing each episode and all of the funny bits that you might have missed as you are clearly not as bright as them (yes, such a book does exist). So, Mr King, I don’t mind reading your thank yous, but spare me your inspiration! And whilst on the subject of Stephen King, I am thinking of putting together my own collection of short stories. Oddities and horror and scifi. ‘A Tribute To The King’. What do you think? ‘Welcome To Liverpool Airport’ the sign reads as half of the planeload of passengers are forced to stand outside because the immigration area is simply not big enough. It never has been – and I don’t see any sign of improvement soon. Then there was the car park. An additional charge of £35 had been triggered because of our six hour delay (nice work if you can get it), but this was quickly waived at the gate (not bad, especially for Scousers). Last few minutes before sleep spent trying to decipher the meaning behind the minutes of Whaley Bridge Cricket Club Executive meeting. Were the words ‘closed system of chauvinistic paternalism’ really uttered in such a meeting within the confines of Whaley Bridge Bowling Club? I think not, but I would be very amused to find that they were!